When I was looking at fixtures for this weekend, I knew that I'd be on my own. Regular hopping partner Anwar was otherwise engaged at Borehamwood v Arsenal, so I'd be looking for a new ground. Chinnor and Chalfont Wasps were the initial 2 choices, but then browsing on the 'Tony Kempster' forum, I noticed that there was a tournament at Combined Counties Division 1 outfit Farleigh Rovers. One of the hoppers was doubling it up with a game at Whyteleafe, who had just had a 3G pitch installed. I however wanted to save this one for the winter when nothing else would be on, and so sought out an alternative, which turned out to be Raynes Park Vale v Aldershot Town XI. The tournament which I would be watching here would be the 4 team Kendo Cup. The club was in the honour and memory of Ken Thurgood, who sadly passed away after losing his battle with cancer 18 months previously. He was previously secretary at Lingfield, Holmesdale and Croydon. 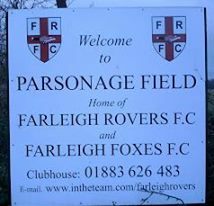 The Cup was in it's second year, with Farleigh Rovers again hosting it. Defending Champions of the competition Holmesdale would play a Kendo Select XI in the later game, but for the one I was here to watch was between Southern Counties East side Phoenix Sports and Isthmian Division 1 South side East Grinstead Town. The host club Farleigh Rovers play in the Combined Counties Division 1, probably most well known for being the league below the one that AFC Wimbledon started in after their formation in 2002. They have never been higher than this league, their best ever finish being 5th in 2005. The club is based near Warlingham in Surrey, in the village of Farleigh. Phoenix Sports were formed in 1935 and were previously known as St John's Welling and Lakeside. They were renamed Phoenix Sports just after the war, due to the rising from the Ashes of the Blitz. They had risen some distance in the recent history too. After spending much of their history in step 7 and below, only winning promotion to the step 6 Kent Invicta league in 2011. They have made staggering progress since then, finishing runners up in their first season and then following up with the title last season. 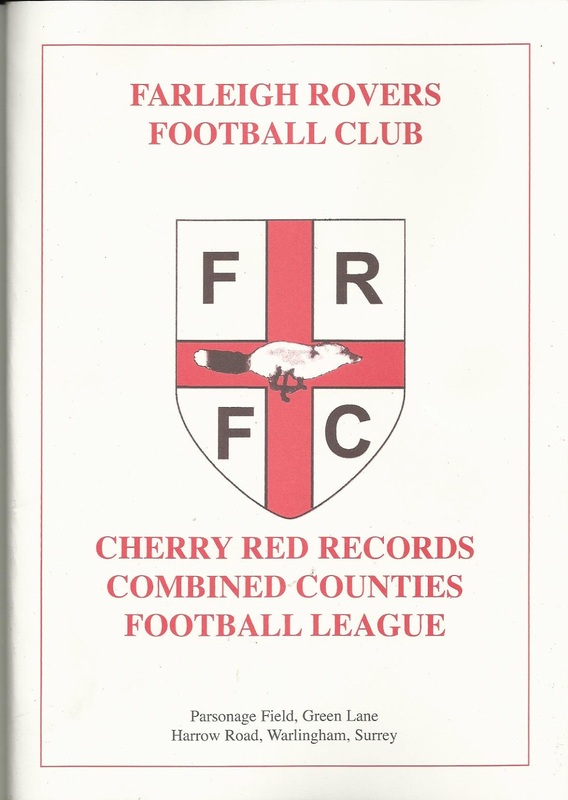 They had a very respectable debut in their first season in the Southern Counties East League, finishing 6th. Their only outing so far in the FA Vase ended at the first round hurdle. After beating Sidley United and Banstead Athletic, they eventually lost a thrilling game 5-4 to eventual semi finalists Eastbourne United Association. They have won a few local Cups as well, most recently the West Kent Challenge Shield in 2008. East Grinstead Town were formed in 1890, and were founder members of the Sussex County League which started back in 1920. 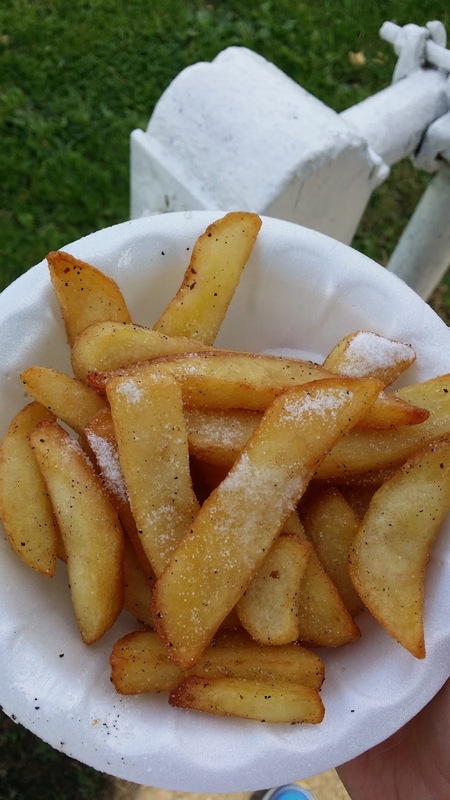 They were initially called East Grinstead, adding the 'Town' monicker in 1997. They have been members of the Sussex County League since it's inception, that is until last season. when they finished runners up and won promotion to the Isthmian Division 1 South. In the FA Cup, the club have reached the 1st Qualifying Round, most recently in 2011 when they lost out to Whitstable Town. In the FA Vase, they reached the 3rd Round back in 1974, but that was the height of their success in that particular competition. Their last cup success was when they won the Sussex Royal Ulster Rifles Charity Cup, which they last won in 2004. I woke up at 8am on the day of the game, having had another nights restless sleep due to the heat. I watched some Youtube videos, as well as last nights Coronation Street. After having a bath, I was ready to go, though before I did, I tried to find out more about the previous nights game between Beckenham Town and Crystal Palace. 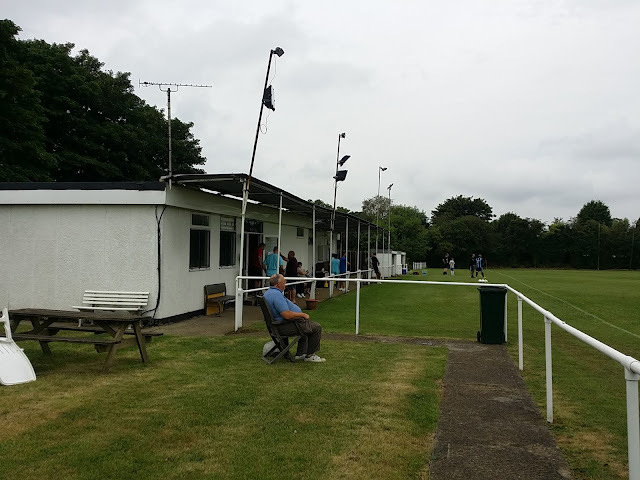 I didn't mind much in the way of match reports, but I did find a claim on the Beckenham Town website that the attendance was 2135. It looked around a third of that to my eyes, with plenty of space to spare. I wonder if they will tell the same to the taxman, who will want his pound of flesh from revenue. In any case, it would have been a good night for them, with lots of people visiting and learning about the club, and with some decent money made. Hopefully a few of them return and experience some of their other games. The first half was pretty even, with me rooting for East Grinstead were playing in light and dark blue. In the second half Phoenix Sports deserved their win, taking the lead with 2 quick fire goals from close range. They added a third from a very well worked free kick, which lead to a shot going in the bottom right hand corner from just inside the area. It wasn't the best game I had ever seen, but overall it was a decent experience, especially seeing it was free entry. It was very good of them to offer free entry to fans, as well as hosting the event for free, it shows that the spirit of football is well and truly alive. PARSONAGE FIELD is quite a basic ground, as is normally the case at step 6. There is just the one area of cover, with mainly standing and a couple of benches, should you wish to sit. In fact, that side is the only area of ground that was accessible on my visit, with the other sides too close to the pitch to walk along. There is a very good tea bar, with plenty more choice than normal at this level. The clubhouse is reasonable too, being smart and modern and with plenty of club stuff on the walls.